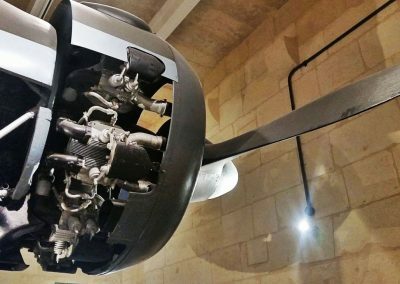 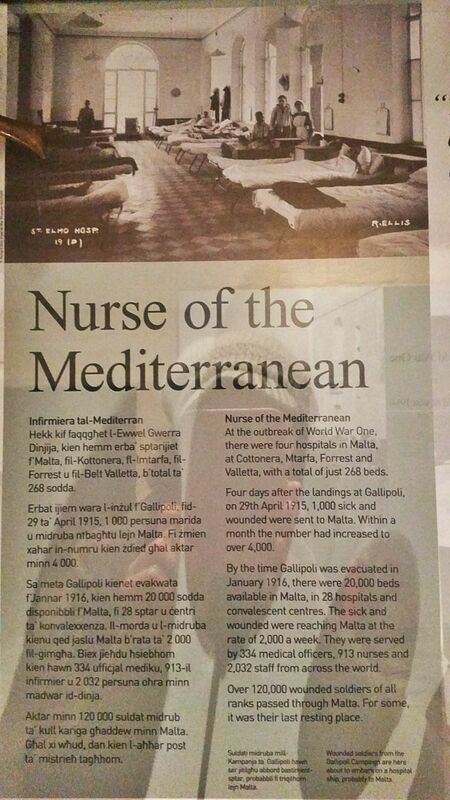 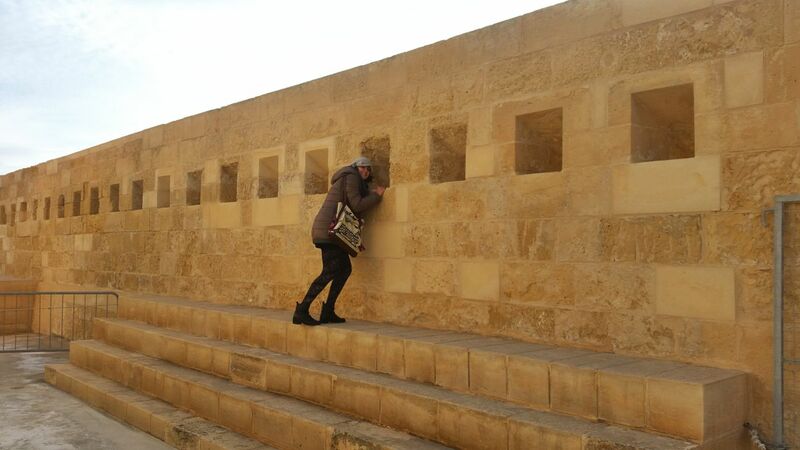 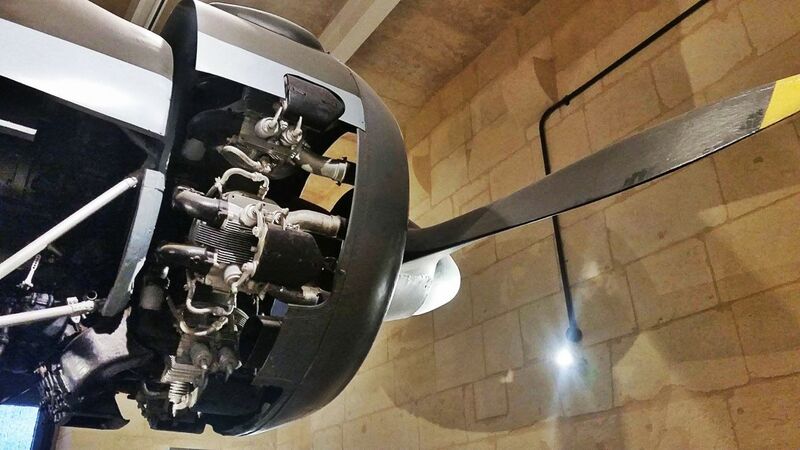 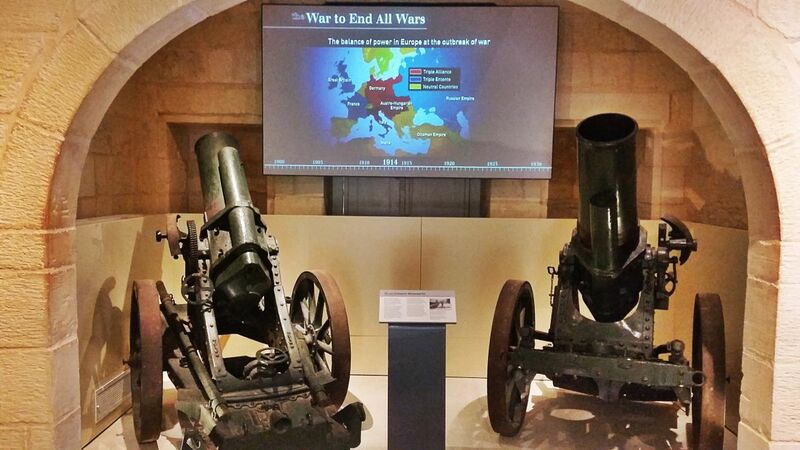 In this video I show you an overview of the National War Museum in Valletta. 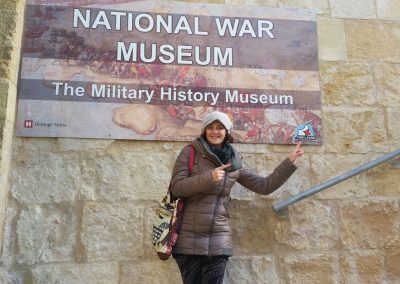 I must say that I was unexpectedly surprised with the War Museum! 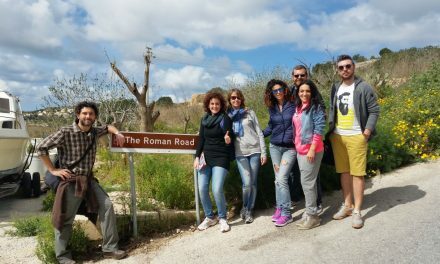 In reality it was a super experience! 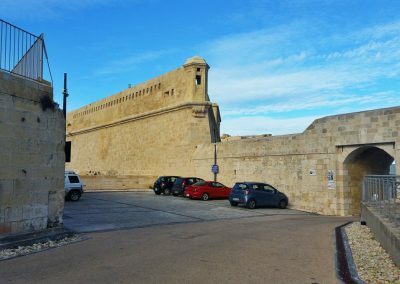 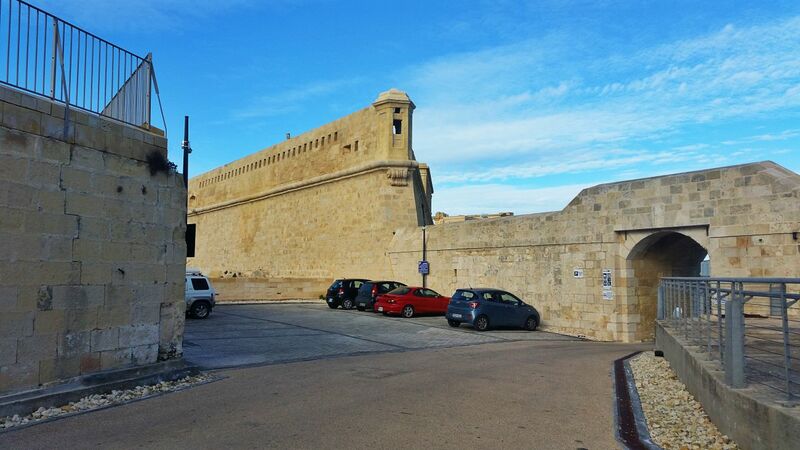 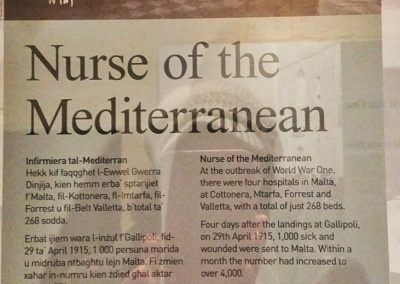 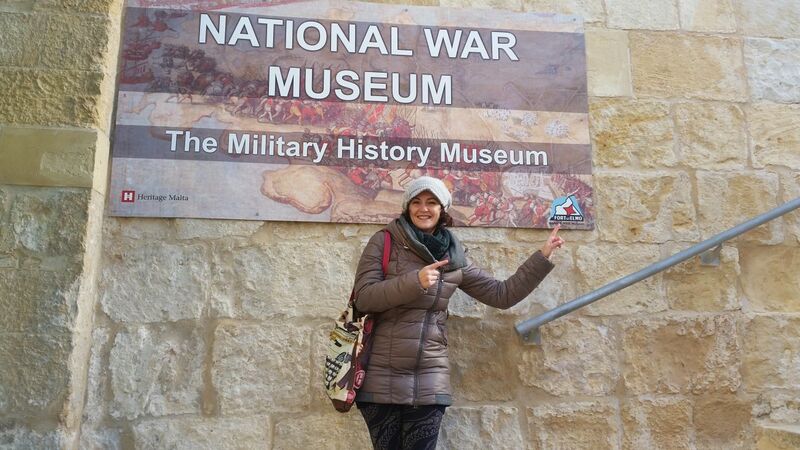 First of all because the War Museum is located in Fort St Elmo in Valletta. 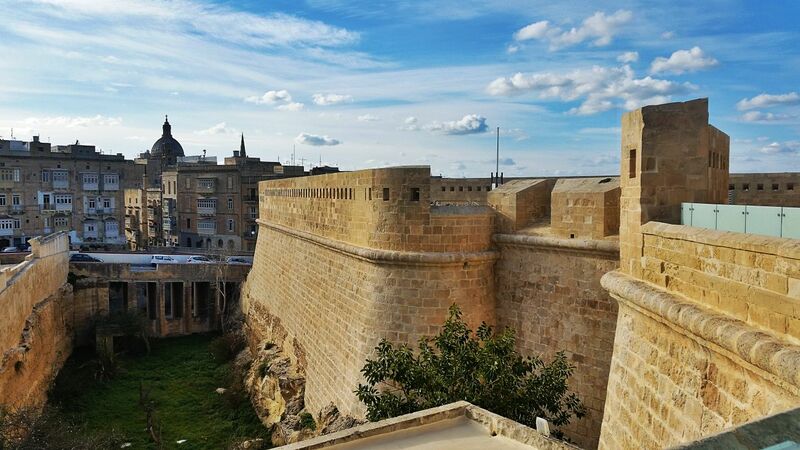 Visiting the fort in itself is an experience! 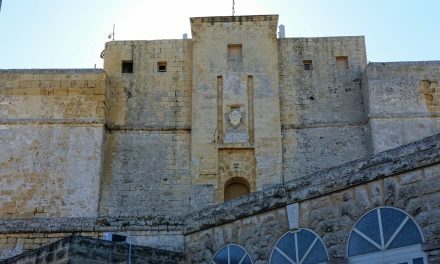 It dominates the tip of the Sciberras peninsula. 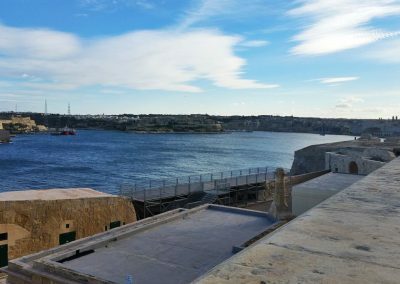 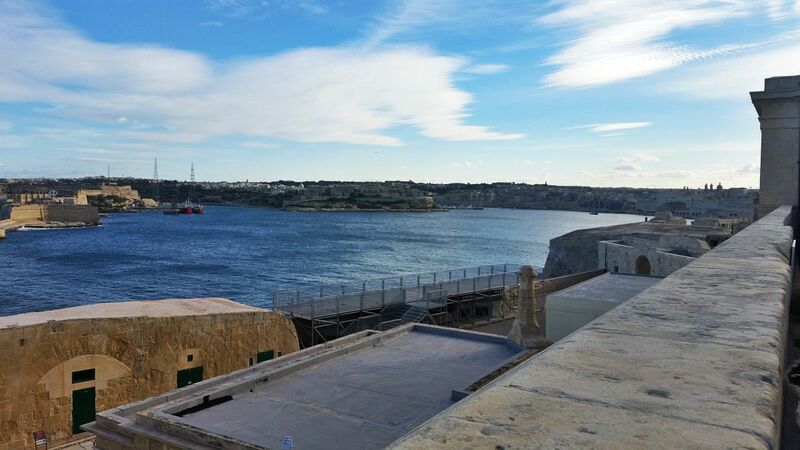 It was built by the Knights of Malta when they arrived on the island in 1530. 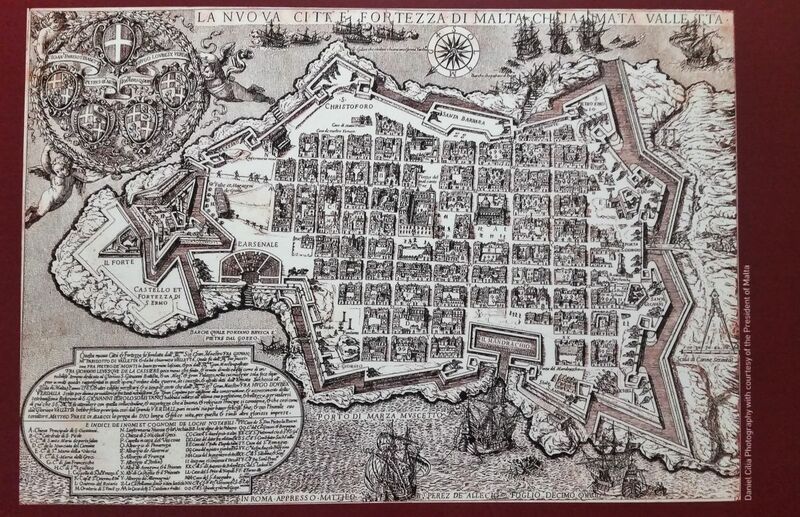 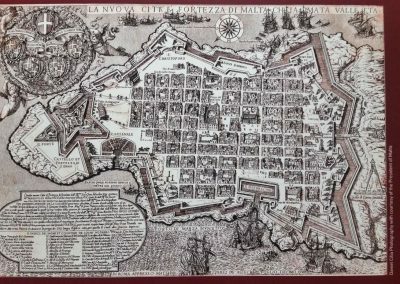 The aim was to defend The Grand Harbour and Marsaxmett from the Ottomans. 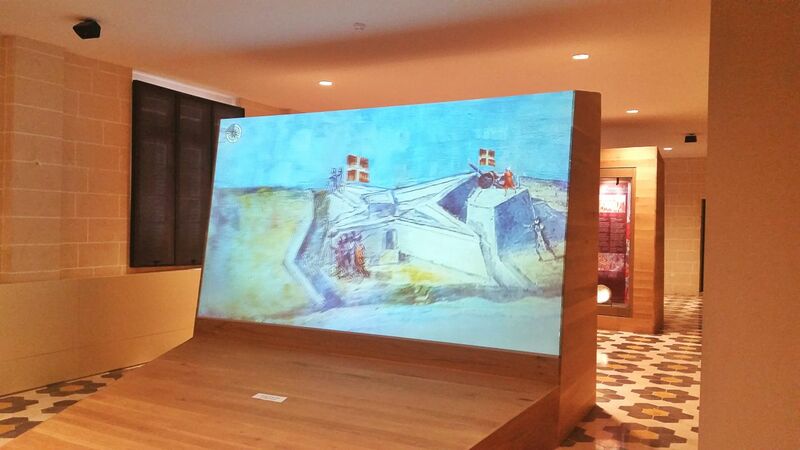 Consider that it was built in only 6 months in a star-shaped format. 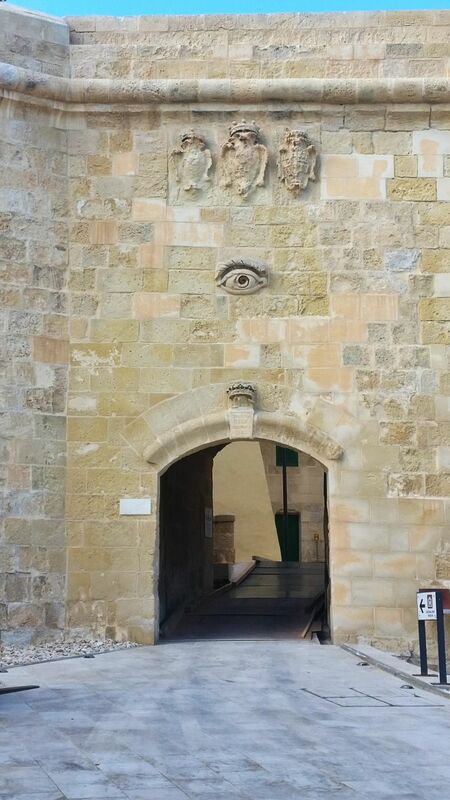 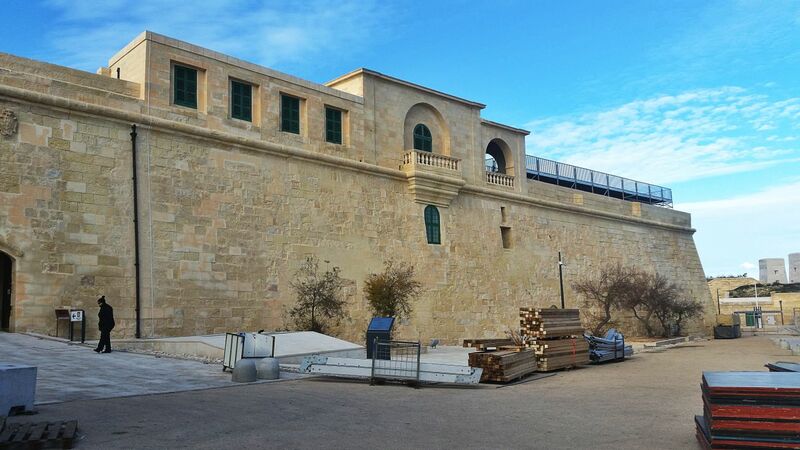 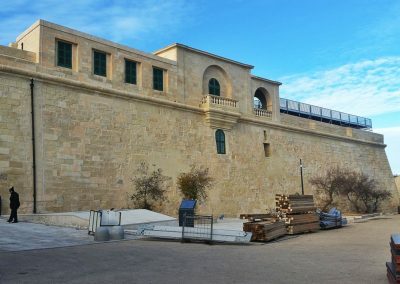 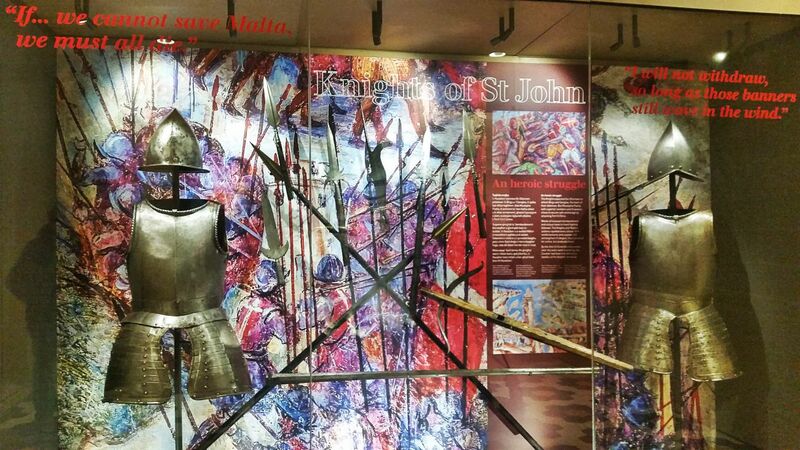 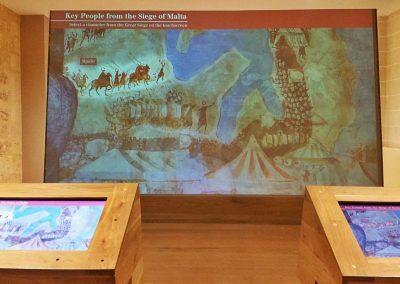 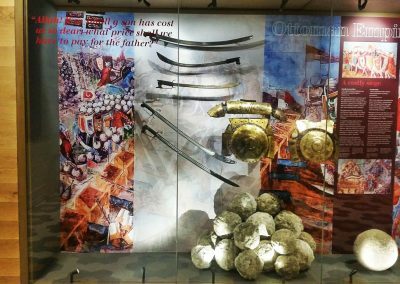 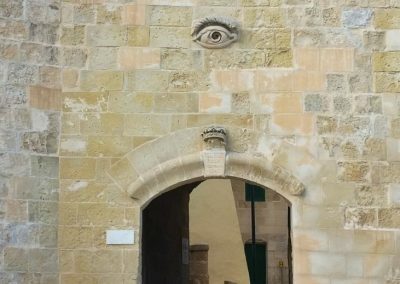 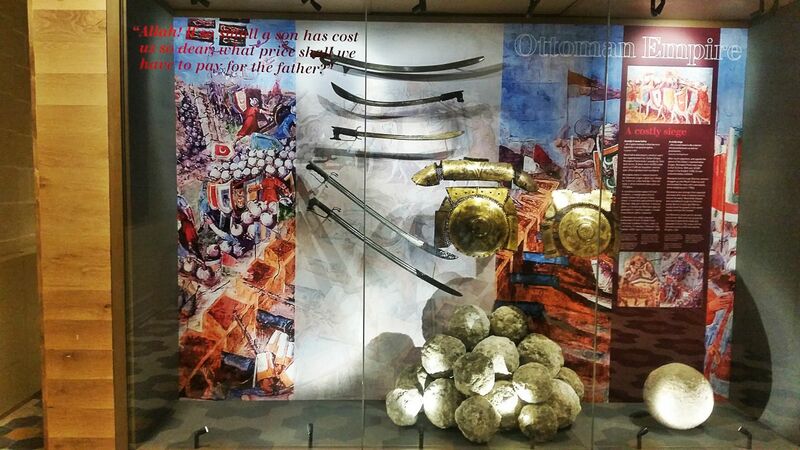 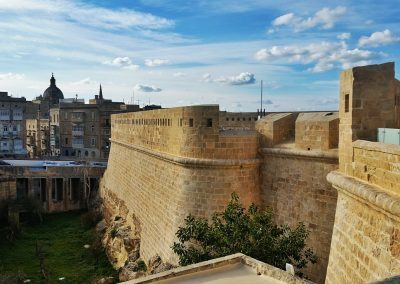 The various exhibitions inside the fort accompany the visitor through the history of Malta, from the Bronze Age, the Phoenician and then to the important role that the fort had played during more modern history, starting from the Knights and the Ottoman invasion. 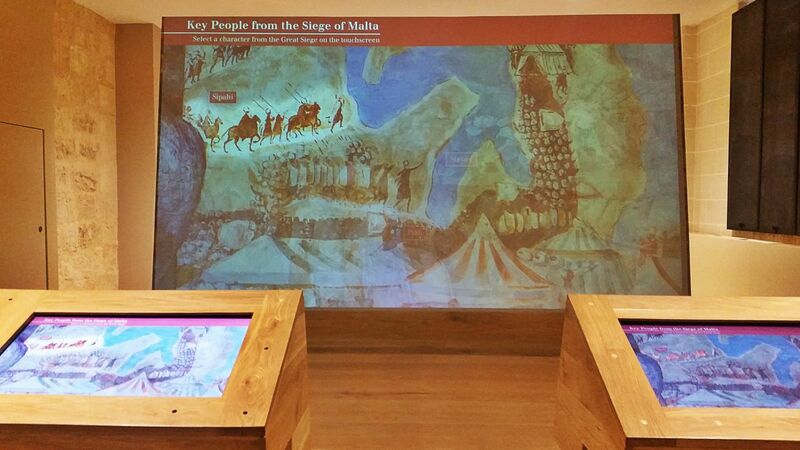 This is an engaging museum! 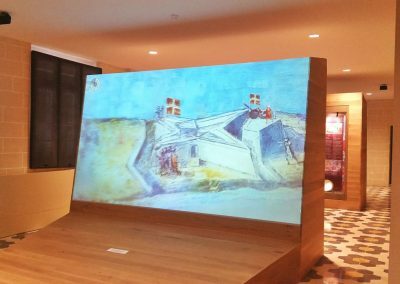 I was fascinated by the many historical video guides that are shown on maps and big screens the vicissitudes of the Great Siege during the 1565. 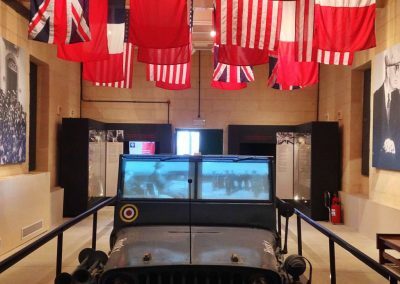 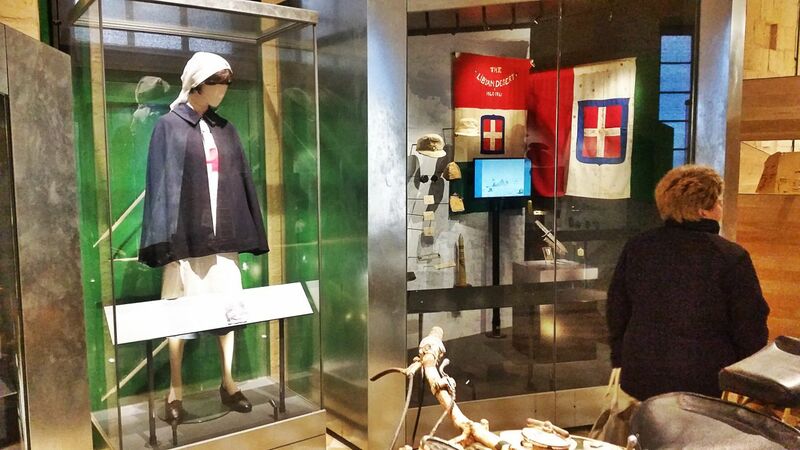 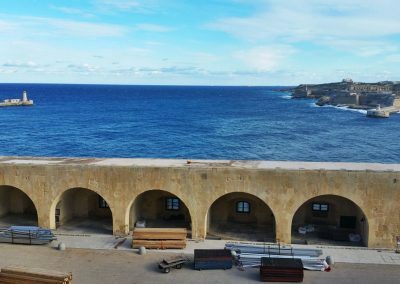 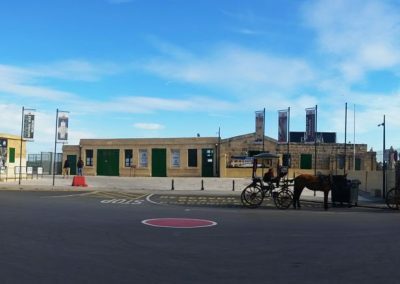 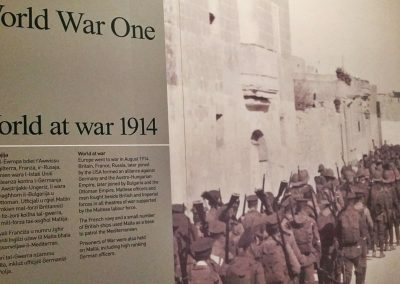 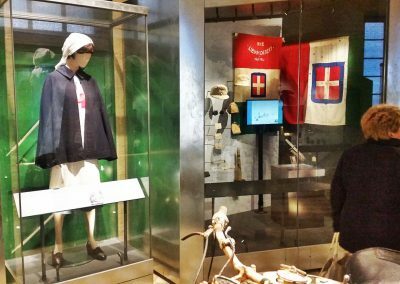 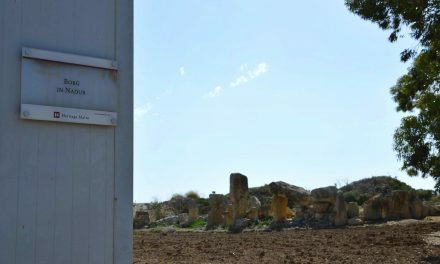 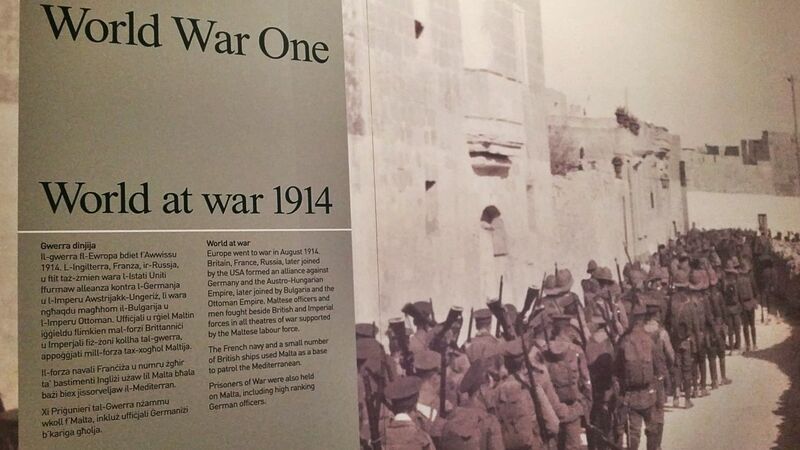 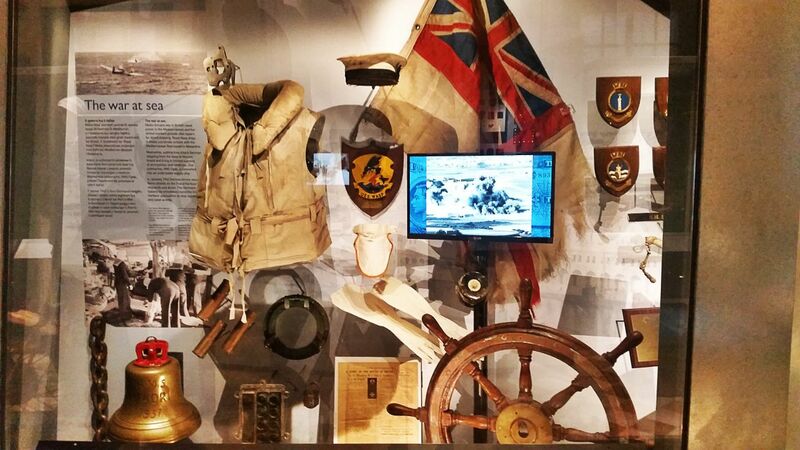 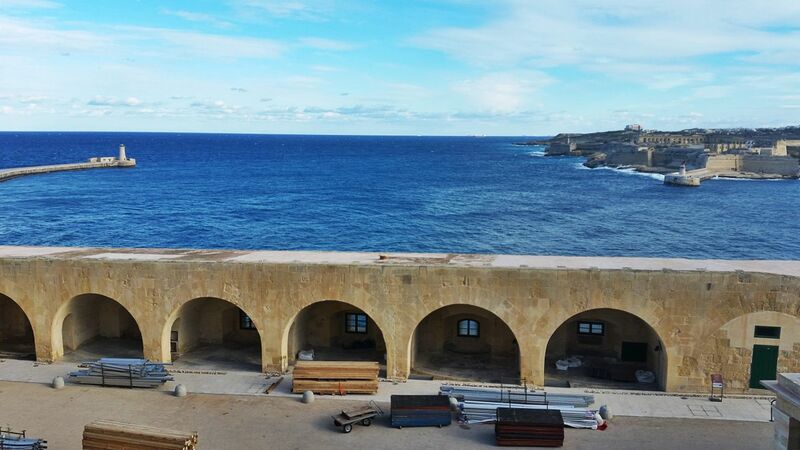 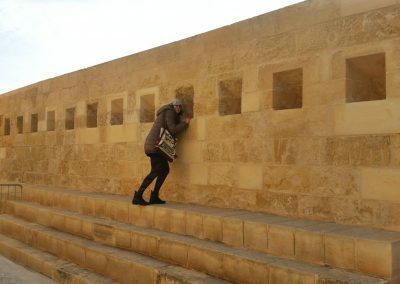 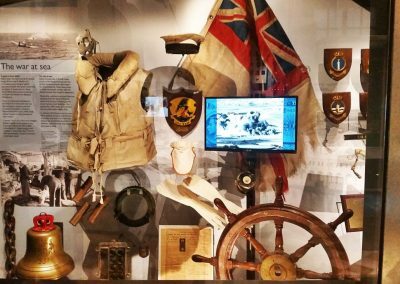 Then you can walk along the exhibitions dedicated to the post Siege, the French arrival to the British Empire in Malta. 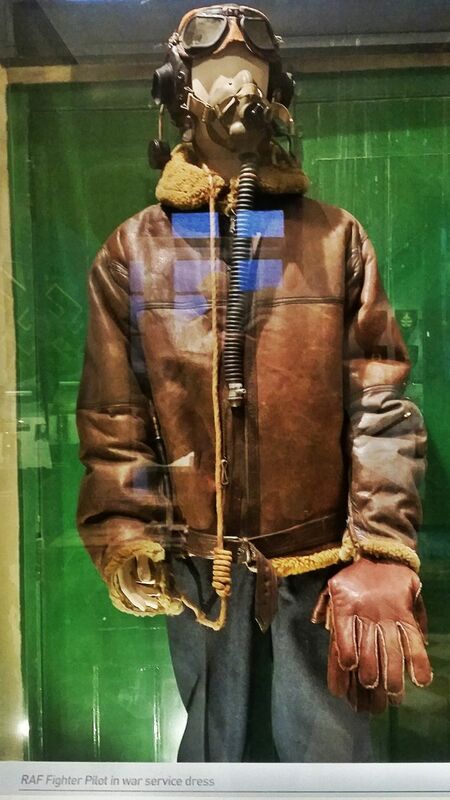 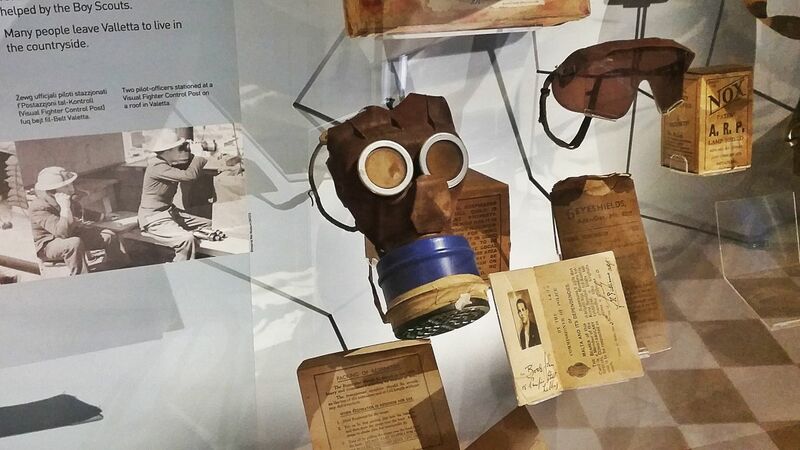 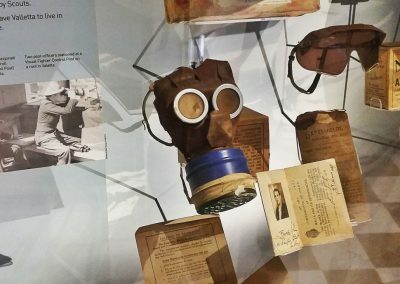 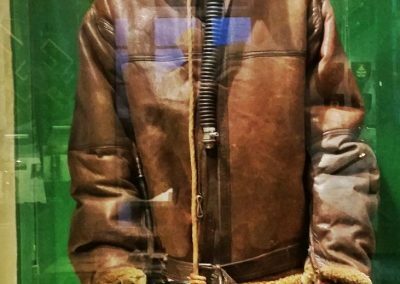 The final part is dedicated to the First and Second World War and it is always touching to see personal objects that someone wore during these terrible times, so recent that they make you think about the deep inconsistency of any war. 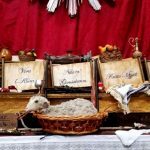 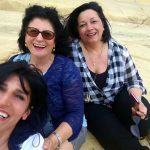 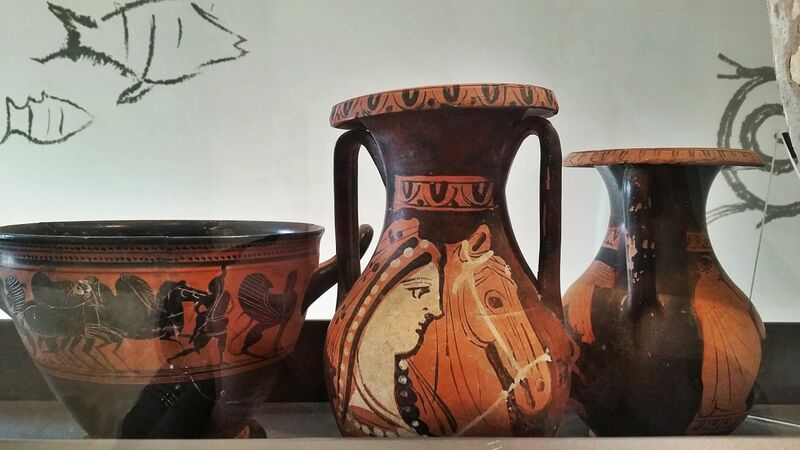 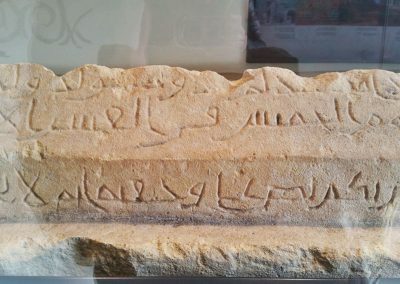 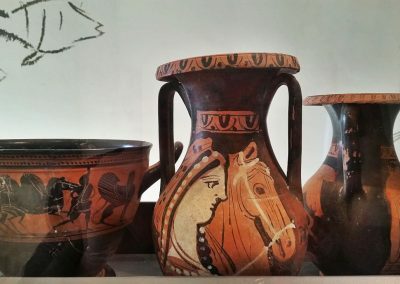 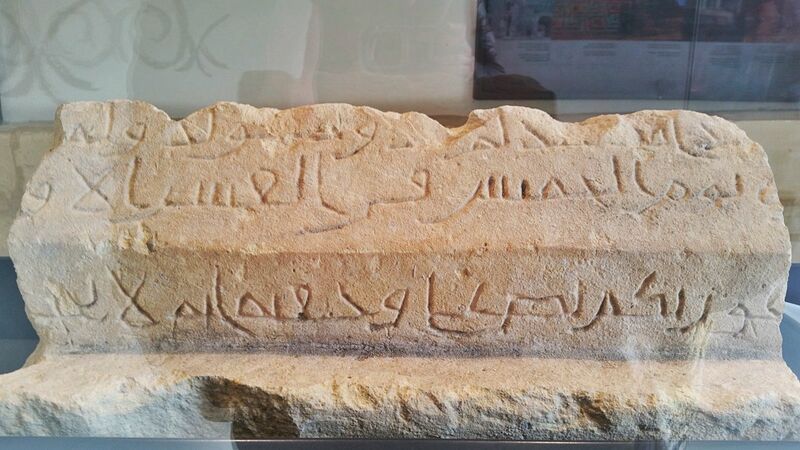 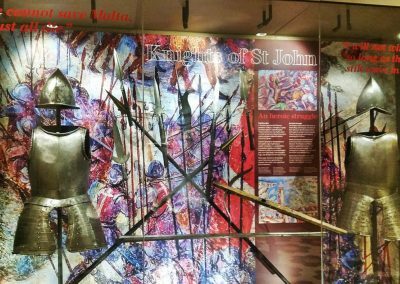 There are three historical important icons that you can see in the museum and for sure you will have heard about them when you are in Malta. 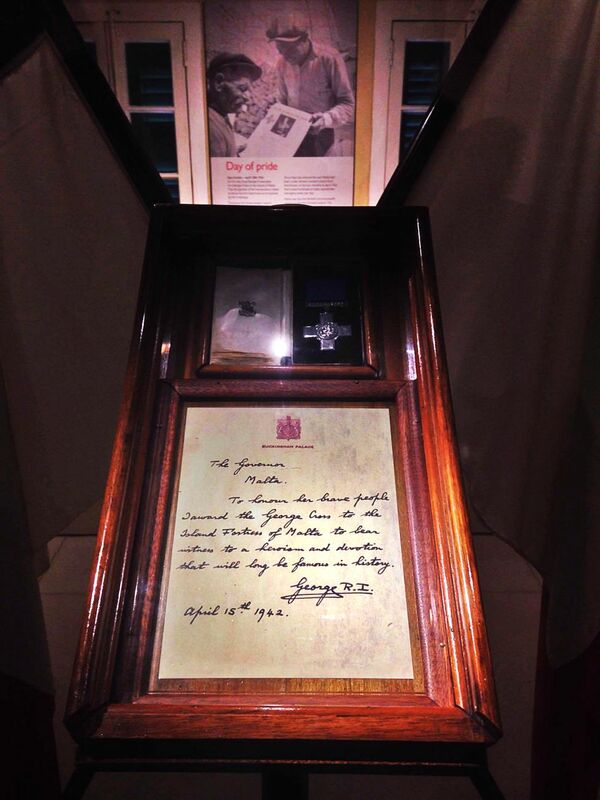 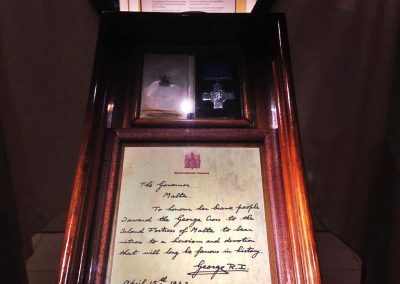 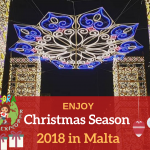 The most well-known is the George Cross, a special award for gallantry given by the King George to the Maltese, the only one that the King assigned. 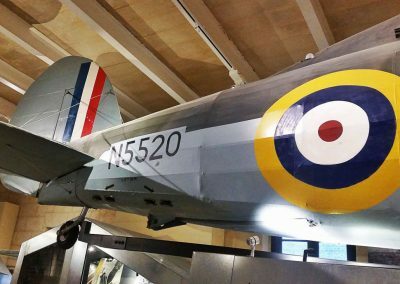 The second is the Gloucester Sea Gladiator N5520 Faith. 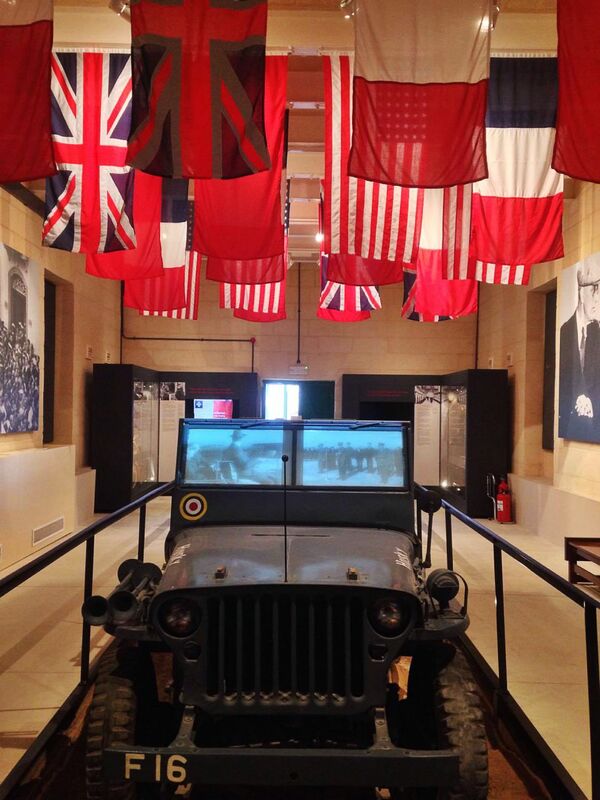 The third is the Roosevelt’s Jeep ‘Husky’. 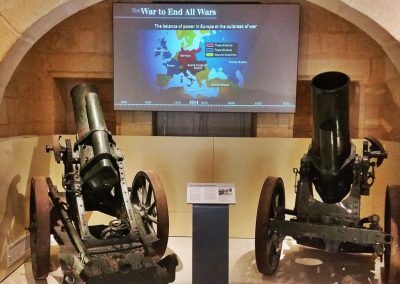 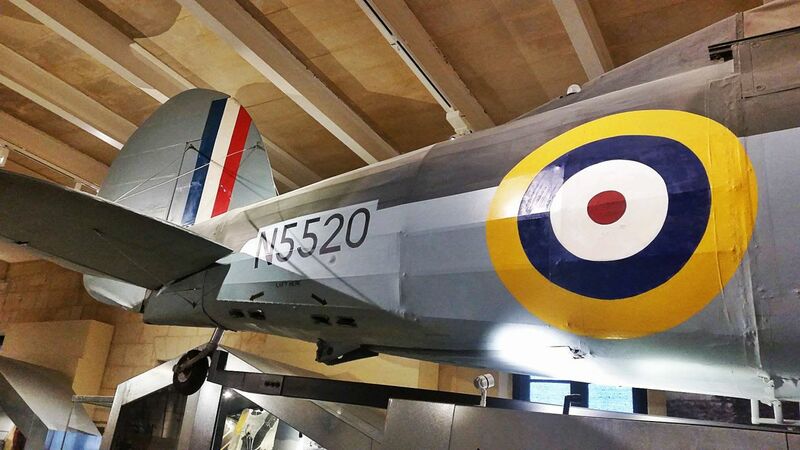 I highly recommend a visit to the war museum. 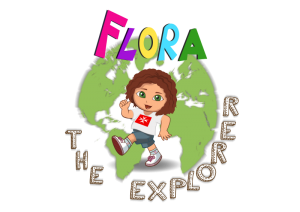 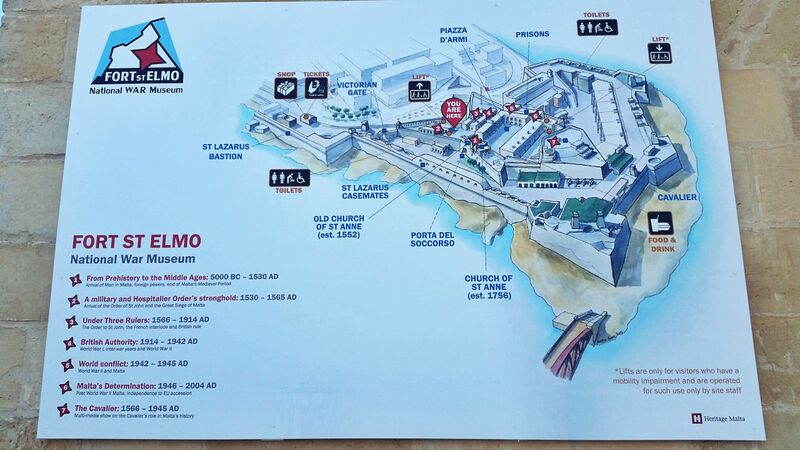 It is really easy to find and is located at the end of Merchand Street. 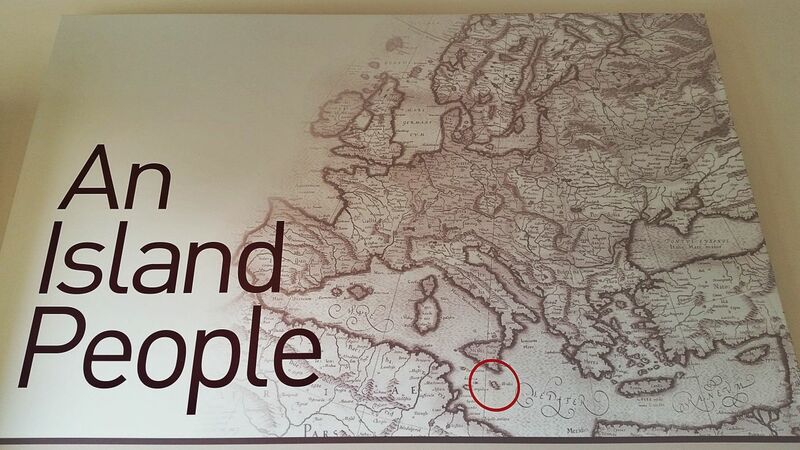 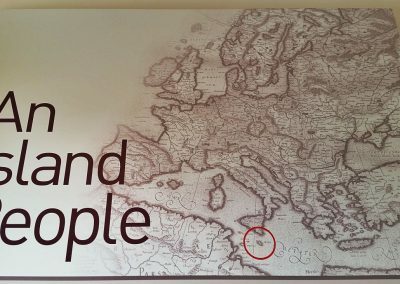 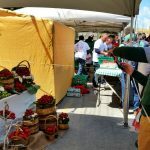 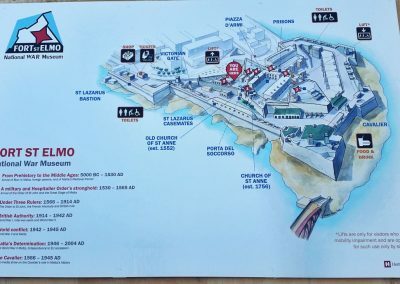 The entrance fee is 10€ and it’s definitely worthy if you want to experience more about the strategic role the Malta had along the history, our European history!